BPMN metrics are used to obtain objective and quantifiable measurements in order to provide simple and well understood models. 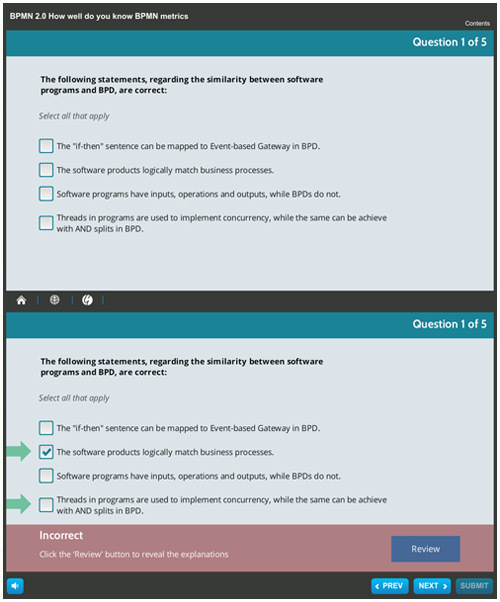 The quiz addresses a specific subset of BPMN metrics, namely those, which are derived from software domain. Both novice and experienced BPMN modelers are encouraged to give it a try!